Beautiful 2 bedroom holiday home to comfortably sleep up to 4 near Megeve, Alps. Ideal for a family holiday, this self catering home has everything to make your holiday unforgettable! On site parking. Cot available. Highchair available. Pet friendly. 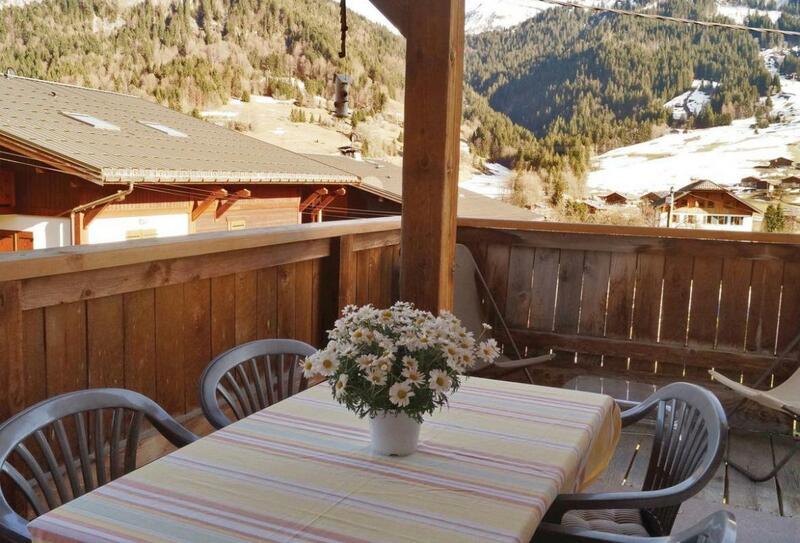 With panoramic views over the surrounding mountains, this first floor holiday property is in a typical Savoyard chalet, with a south and east facing balcony, and a cosily furnished interior. In the viilage of Praz-sur-Arly and within walking distance of restaurants, bars and local shops. The apartment is ideally located for access to the famous Mont-Blanc resort, the spa town of St. Gervais-les-Bains, 16km, and the resort of Chamonix, 40km away. For walkers, the magnificent Aravis mountains, in an unspoilt area with astonishing views, are nearby. Day trips could include the recreational lake in Annecy 37km, ideal for water sports and sampling local dishes from one of the restaurants facing the blue waters and impressive mountains. Golf (18-hole), 5km away. Shared lawned garden. Terrace. Balcony. Oil central heating. Washing machine. Dishwasher. Microwave. DVD. Wi-fi. Travel cot. Highchair. Parking. Garden furniture. No smoking.